Elwood-John H. Glenn High School students involved in the Habitat for Humanity club recently volunteered to help build the frame of a new home for a family in need on March 13. Alongside other volunteers from Brookhaven National Lab, the family receiving the house, and Habitat for Humanity of Suffolk staff, students worked with determination and speed from 9 a.m. until 2 p.m. to complete the frame. In addition to the act of service positively changing a family’s way of life, the structure itself will be one of the organization’s most environmentally projects yet. This “GeoThermal” house will have the ability to be heated and cooled by the earth’s underground temperature, rather than gas or oil. This project was organized by Habitat for Humanity of Suffolk. 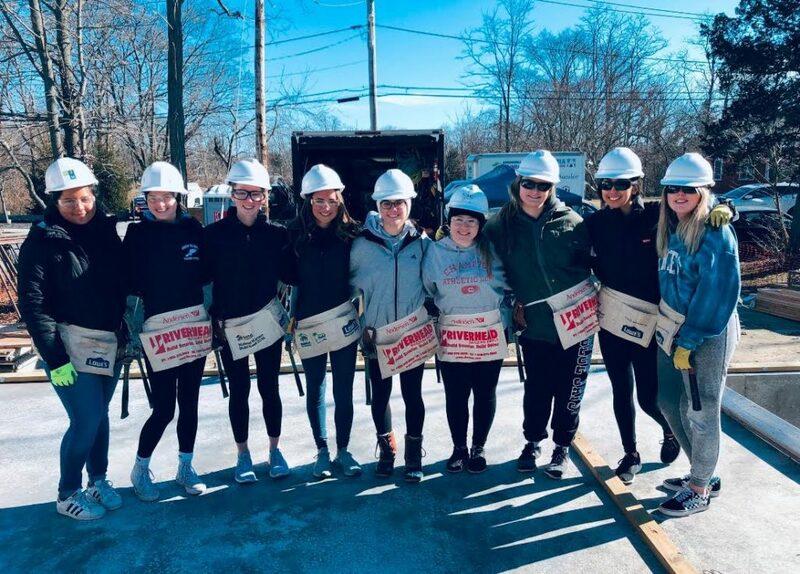 Photo caption: Elwood-John H. Glenn High School students involved in the Habitat for Humanity club recently volunteered to help build the frame of a new home for a family in need on March 13.